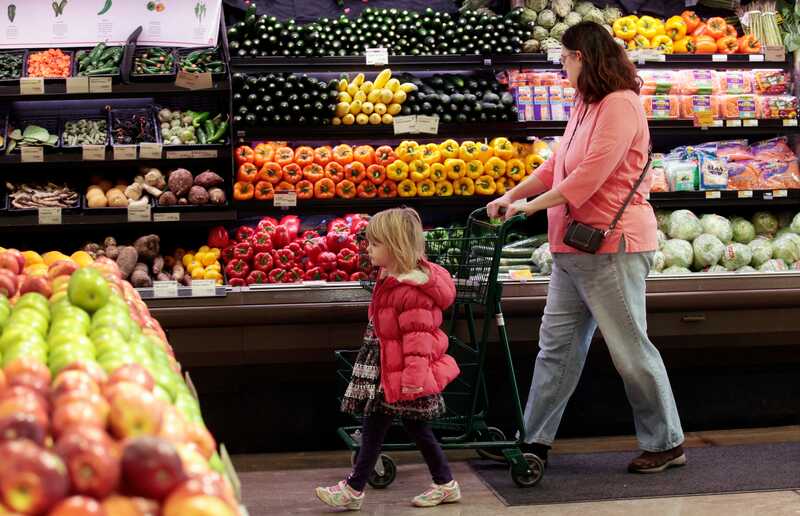 Whole Foods reports earnings this afternoon. The grocery’s reputation for being more expensive than traditional supermarkets, which could be contributing to its current sales decline. But it turns out the specialty grocer has a few hidden deals. Earlier this year, the product review site Cheapism.com compiled a list of 25 items that are cheaper at Whole Foods than at Safeway. To make the list, Cheapism compared the prices of 200 items at a Whole Foods in Seattle to prices for similar items at a nearby Safeway. The biggest differences in price were noted in olive oil, balsamic vinegar and nuts. Note: Cheapism’s findings were for Seattle only. Prices may vary elsewhere. 1. Organic milk. Whole Foods’s 365 Everyday Value Brand was priced at $US4.99 a gallon, while Safeway’s O Organics brand cost $US5.29 a gallon. 2. Non-dairy milk. Califia Farms Almond milk cost $US4.39 at Whole Foods, while the same bottle cost $US4.99 at Safeway. Whole Foods also offers house-brand rice milk for $US1.69 for a 32-ounce carton, compared to the Rice Dream brand that Safeway carries for $US2.59 for 32 ounces. 4. Organic popcorn. Whole Foods’ 6-ounce bag of 365 Everyday Value organic pre-popped popcorn is $US1.99. Safeway’s O Organics brand comes in a 5-ounce bag that is 70 cents more expensive. 5. Energy bars. Larabars sell for $US1.50 each at Safeway and $US1.29 a bar at Whole Foods. Kind bars are also more expensive at Safeway. Safeway sells them for $US1.67 each if you buy three, and Whole foods sells them for $US1.49 each. 6. Pretzels. A 16-ounce bag of 365 Everyday Value brand pretzels costs $US1.89 at Whole Foods, while Safeway’s Snack Artist brand costs $US2.49 for a 13-ounce bag. 8. Organic quinoa. Whole Foods’ house brand of organic quinoa is $US4.49 for a 16-ounce bag, compared to Safeway’s house brand, which is $US5.19. 9. Organic chicken broth. Whole Foods’ house brand for a 32-ounce carton of organic chicken broth costs $US1.99, compared to Safeway’s house brand, which $US2.59 for the same size carton. 10. Organic russet potatoes. Russet potatoes cost $US2 a pound at Safeway and $US1.49 a pound at Whole Foods. 11. 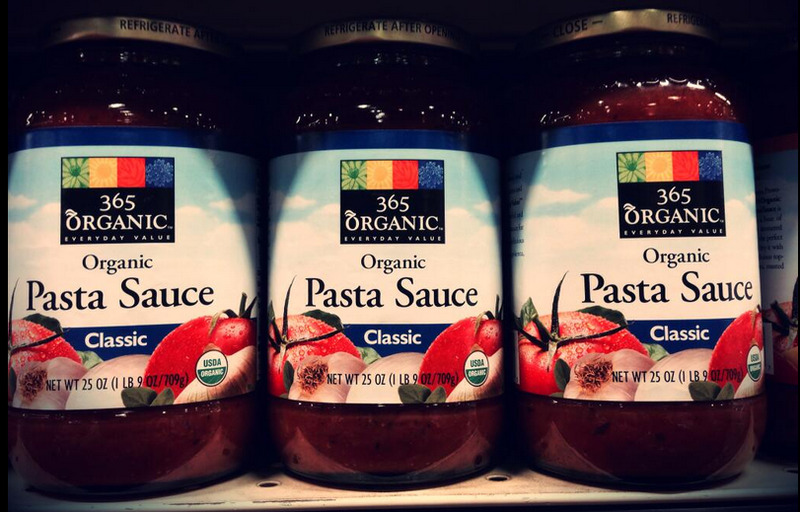 Organic pasta sauce. 365 Everyday Value pasta sauce is $US2.29, compared to Safeway’s O Organics version, which is $US2.79 for the same size jar. 12. Elbow macaroni.A 16-ounce bag of Safeway Kitchens macaroni sells for for $US1.29. The same size bag at Whole Foods — from its 365 brand — costs 99 cents. 14. Organic balsamic vinegar. Whole Foods’ house brand cost $US3.69, compared to Safeway’s, which cost $US6.29 for the same amount. 16. Organic coconut oil. Whole Foods offers a house-brand jar at $US5.99 for 14 ounces. Safeway charges $US8.39 for Spectrum-brand jar of the same size and does not offer a house brand version. 17. Organic condiments. Organic yellow mustard costs 18 cents per ounce at Whole Foods and 22 cents per ounce at Safeway. Organic ketchup is also more expensive at Safeway, where it sells for $US2.29 for 20 ounces versus $US2 for 24 ounces at Whole Foods. 18. EnviroKidz cereals. The same size boxes cost $US2.99 at Whole Foods and $US3.79 at Safeway. 19. Peanut butter.A 20-ounce jar of house-brand peanut butter is 20 cents cheaper at Whole Foods. 20. Cereal bars. House brand cereal bars are roughly four cents more expensive per bar at Safeway. 21. Paper towels. An eight-pack of paper towels is 50 cents more expensive at Safeway. 22. Dog biscuits. The cheapest dog biscuits at Whole Foods are Whole Paws, which cost $US3.99 for a 20-ounce box. The cheapest option at Safeway costs $US4.99 for a 24-ounce box. 23. Roasted whole nuts. Almonds and cashews cost almost twice as much at Safeway. 24. Cream cheese. An 8-ounce package of 365 Everyday Value cream cheese is $US1.69, compared to $US1.79 for Safeway’s house brand. 25. Meatless frozen foods. Whole Foods’ meatless soy burgers and chickenless nuggets are cheaper than their counterparts at Safeway. To find out more about how the prices compared, go to Cheapism.com.